Quinoa is a popular food item these days and many people seem to be convinced that it falls into the category of paleo-friendly foods. 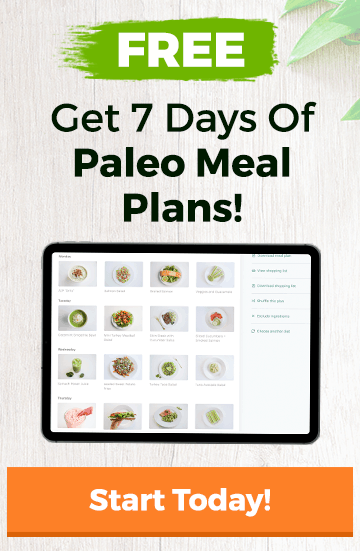 We decided to take an in-depth look at this food to determine whether or not it fits into the paleo diet plan. How Doesn’t Quinoa Fit in The Paleo Diet? Quinoa (pronounced “keenwah”) is a seed that is harvested from a species of a plant called goosefoot. It is officially a seed and part of a group of pseudocereals, making it neither a cereal nor a grain, and more closely related to spinach and beets than to cereals or grains. It is because of this unusual categorization that many people are confused as to what quinoa actually is and how it affects the health of people who eat it regularly. A person could read ten different articles about quinoa and get nearly as many different theories about it and where it belongs in a healthy diet. Well, yes and no. This is a vague answer but that’s because the position of quinoa in a paleo diet depends on the individual whose diet it is. Let’s explore this a bit. Quinoa is technically not a grain, which makes many people jump to the immediate conclusion that it is paleo. It is a seed and many other seeds are allowed, so why not quinoa? This is a good point and, for those looking for a grain alternative that has much less potential for damage than regular grains, quinoa is often a good choice. With that being said, quinoa actually does contain some of the same potentially harmful properties as grains. Wheat products are avoided on the paleo diet because they need to be heavily processed to be consumed. This goes against the very basis of the paleo way of thinking and eating. Beyond that, they are avoided because they contain gluten, saponins, and lectins, among other anti-nutrients, which have been shown to be harmful to the lining of a person’s digestive system as well as their immune system. 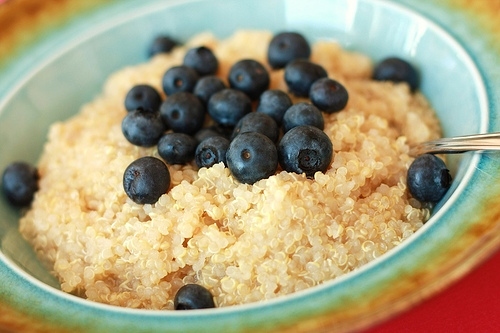 Many people don’t process quinoa effectively and, because of that, they should avoid it. Even if you don’t have issues processing quinoa, quinoa still contains quite a few carbs. If your goal is to become a fat burner rather than a carb-burner, you’ll want to avoid quinoa as it’s a 53 on the Glycemic Index – quite high for a food that you don’t have to be eating. So, quinoa, while it is technically gluten-free and better for you than most grains, is definitely NOT paleo. You’ll want to avoid quinoa for a few reasons – namely because of the digestive issues it can cause and because of its high carbohydrate content. If you’re transitioning to paleo for the weight loss benefits, you’ll definitely want to avoid quinoa. Essentially, quinoa is okay in principle but it’s not as okay in practice. If you follow a paleo diet plan, know that quinoa is not paleo (under the strictest requirements). While it’s not the worst thing in the world, many people simply can’t handle the negative impact of quinoa on their digestive system. Please note: If you feel rebellious and do choose to eat quinoa, it is generally a good idea to wash it thoroughly, as its outer coating is responsible for some of its wheat-like properties. Also, if you really feel the need the include quinoa in your diet, the best question to ask yourself is “why?” While quinoa might be best used as a stop-gap while you’re transitioning from a standard American diet to a full paleo lifestyle, once you’ve made the transition, there’s really no reason to incorporate it into your regular diet as there’s a bunch of much better food options available – both proteins (eggs, meats, etc) and carbohydrates (safe starches, sweet potatoes, bananas, etc). Quinoa – An Alternative to Grains? Yes, please! I would love to hear about quinoa alteratives! Thank you all!! It’s definitely not the *worst* thing you could eat – but in the strict sense of the word – it’s not paleo either. How is your psoriasis? I changed to this diet because it makes sense but I am really curious if my psoriasis will stay inactive. This may not be the same for everyone, but I find Quinoa much easier to digest than the other “safe starches”- I have digestive issues and I’ve found that bananas, sweet potatoes and butternut squash really don’t work for me. I’ve tried exercising without carbs for 6 weeks and the muscle cramping was awful. Is there anything easier to digest that I can eat that will give me enough carbs for a really intensive exercise programme? I do around 3hours of fairly high intensity exercise a day. You’re still gonna run into the same problems with Quinoa being a grain. It’s not strictly paleo – but at least it’s not straight wheat. Part of the issue will be your 3 hours of daily cardio. Unless you’re a super efficient fat burner, it’s gonna be tough to deplete your glycogen stores for that long without replacing them with a carbohydrate source of some sort. Quinoa is not wheat, nor is it in the wheat family (rye, buckwheat, barley…) thus is has ZERO GLUTEN. Any gluten that comes from a package of quinoa is a byproduct of sharing machinery or processing with wheat. We didn’t say it is wheat – but it does have similar properties. You stated that it contains gluten. I’ve been GF for 3 years and I eat quinoa daily without negative side effects ( seizure, depression, suicidal tendencies, etc for me). This was the first article I read on this site and now it makes me question the reliability of your other information. Please re-read the article. We don’t state that quinoa contains gluten at all. The only part we talk about gluten is when talking about wheat (and how gluten is viewed as an alternative to it). Just FYI the writing is a little misleading because the bolded section under “How doesn’t quinoa fit in the paleo diet” makes it sound like the quinoa has gluten, saponins, and lectins, but actually all you said about quinoa and the way it relates to your intestines is that it is not easily processed by some people, it has a higher glycemic index and thus should be avoided. The diversion about wheat is really completely unnecessary and distracting – which is why this bolded section is confusing people (myself included until I read through the comments section). I would suggest re-writing it, possibly change the bolded section to start with “beyond that, wheat products are…” instead of using the word they. Also, it might be more helpful to be clear exactly how this seed-like substance known as quinoa relates to wheat since we already have cleared up the fact that quinoa is in fact gluten free (I don’t know about the other saponins or lectins part – I’ll leave that up to your know-how). Soaking quinoa for about 12 hours will neutralize the anitnutrients. Its so high in protein its hard to give up. I got this info from the book Nourishing Traditions by Sally Fallon (pages, 454 and 475). 1 cup of quinoa has about 8g of protein. There are certainly better sources of protein out there that don’t have the anti-nutrients & high carb load that quinoa carries. I have tried to stick to this Paleo diet before, but I simply can’t do it. I get sick! My body can’t handle all the meats – just too much for my digestive system 🙂 I’ve been trying to figure out how to substitute with veggie protein sources. Any suggestions for someone like me whose body seems to reject animal proteins??? We responded to your email. You don’t need to eat meat constantly. Go with the meats that are easier on your digestive system (chicken, etc) and eat lots of veggies! I have been eating a high fiber grain diet for decades because of a constipation/ irritable bowel issue. I use to only eat millet and brown rice for the fiber, but after a while that was not enough so I had to startdoing metamusil X2 per day. I have been eating salads daily and recently increased my fruit intake. A month ago I started seriously looking at the paleo diet. I cut back on millet, stopped br rice and do quinoa primarily to fill my fiber need. I don’t have a weight problem and I see myself as transitioning to full paleo or at least say 90% of the time. I’d really like to get off the metamusil and I recognize that there are still processed foods to eliminate from diet. Paleo does not need to be low carb. Unless your going full ketogenic why would avoiding carbs be your goal?